I'll be talking to the Sacramento Freethinkers Atheists and Nonbelievers (SACFan) group on Tuesday, May 17 at 6:30 at 191 Lathrop Way, Sacramento. The vast majority of Americans believe in some sort of life after death. 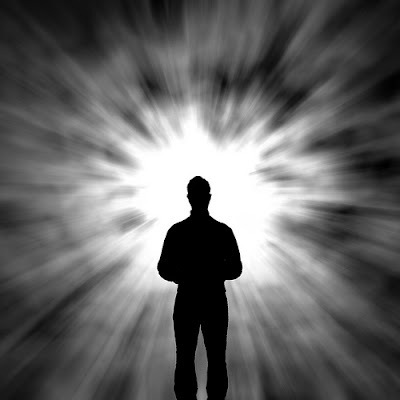 Many of them cite out of body experiences, near death experiences, and other unusual phenomena as evidence. There are even fundamentalist Christians and apologists like J.P. Moreland here who are citing these occurrences as evidence for an afterlife. Let's take a take a close look at what sort of evidence would be needed, what we have, what being dead is, and what really being dead is. The case we have from OBEs, NDEs, and other phenomena is really poor for life after death. OBEs and NDEs face a timing problem, an error checking problem, and several other challenges before we can take them seriously. A version of the slides I'll be using is here: Dead as a Doornail. It's true that the dates you ascribe to the gospels are held by a majority of scholars. But they're based on little more than guesswork, and Maurice Casey, a formidable scholar, dissents from the majority view. To say we "know" the consensus dates are correct goes too far. Further, Paul suppplies what's perhaps the best evidence (not very good, but still best) we have as to the resurrection, an event so some importance in Jesus's life. Your power point link opens you Case Against Christ presentation, not anything about life after death.